It's All About The Soil - Have You Tested It Lately? 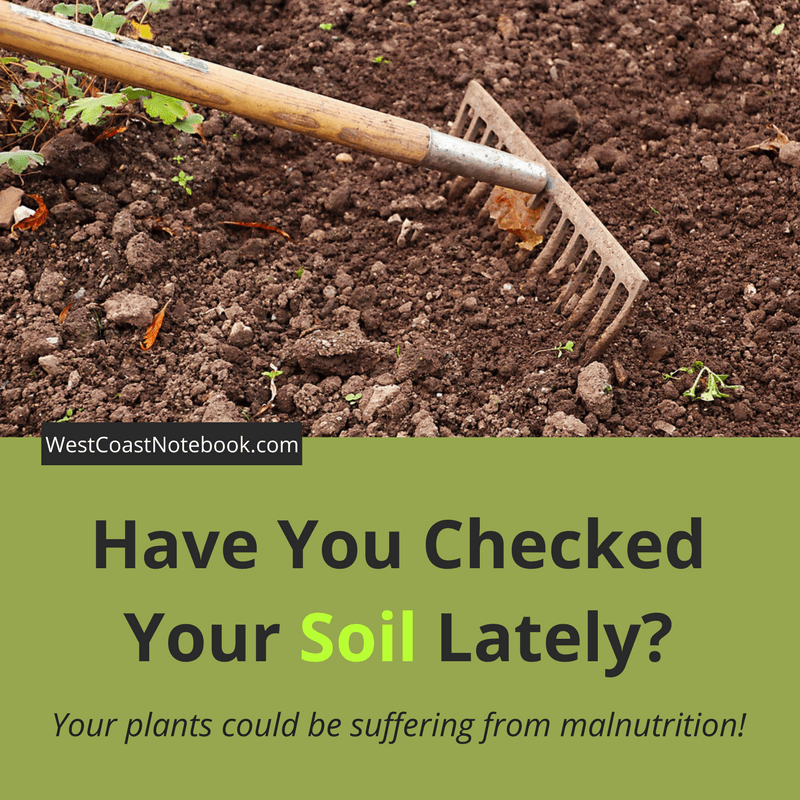 / It’s All About The Soil – Have You Tested It Lately? When you are gardening, it’s all about the soil. It doesn’t matter what kind of plants or seeds you have if you don’t have the right soil to grow them in, they won’t flourish and produce. I know this for a fact as when my initial raised garden beds were built, we purchased soil from a reputable source and I excitedly planted seedlings and impatiently awaited their growth. I hadn’t grown a garden in a while, so it took me much longer than normal to realise that the plants weren’t doing as well as they should. After being in the ground for a month, nothing was growing up. Well, maybe an inch or so, but really no growth, so I started to read. In turning to Google, it appeared that the most common reason for stunted growth was poor soil. So… I’m thinking that can’t be the problem as had we paid good money to get the best dirt possible. 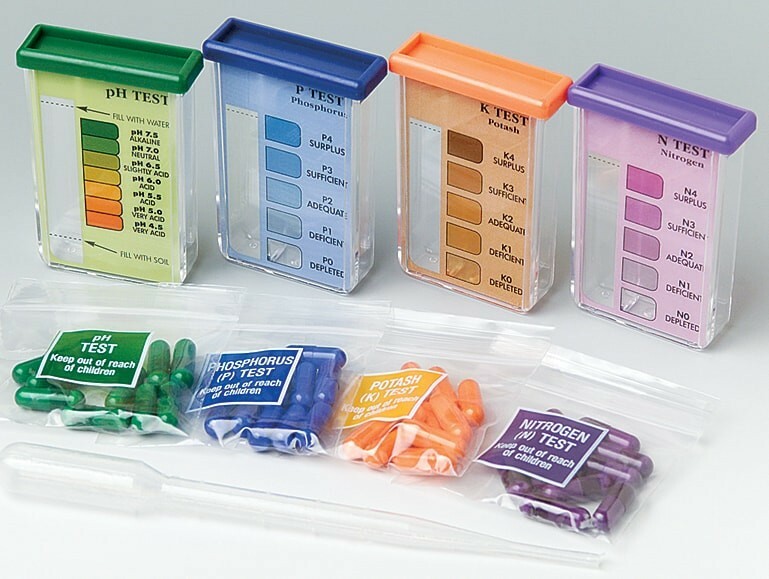 Gardeners on the web suggested a soil testing kit to test the levels of nitrogen, phosphorus, potash, and PH of your soil. So off I went to the local garden centre and found one similar to the following. If you can’t find one locally, you can find it here on Amazon. Cost less than $15. Once you have the kit, you just need to follow the instructions. If I remember correctly you mix the soil with water and then once it is settled you use the syringe to put some into the chamber of each tester along with a colour coordinated pill. As you can see from the picture above, you can tell if your soil has too much of a good thing or too little. Mine apparently had none… zip… zilch… nada… nitrogen. No wonder my poor little plants were stunted. 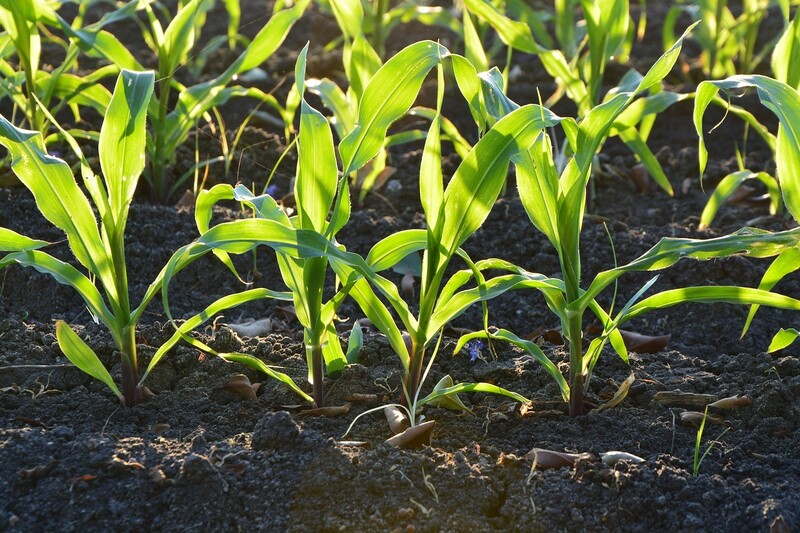 Nitrogen is essential for plant growth and without it… well, you know the story. The tests also revealed the soil was high in potash and low in phosphorus. You can add nitrogen back into your soil with many methods, some of which are quicker than others. I bought a commercial crystal nitrogen and applied that to the soil around the plants. This will give the plants a kickstart, but will leach out of the soil and won’t build it up, but at this point I was desperate. So I also add blood meal. This takes longer to break down but adds to the existing soil. In the meantime, I started a compost cooking to enrich the soil with nutrients that it so desperately needed but it probably wouldn’t be ready until the fall. That took care of the nitrogen, but the earth was still low in phosphorus. Phosphorus, as it turns out is essential for root formation and growth so without good roots, the plant won’t grow properly. I found that somewhere in the back shed I had a gallon of liquid fish fertilizer that had both the ingredients that my soil was missing and proceeded to apply it on a regular basis to the slow growing plants. It took a while, but I started to see some growth on my lettuce and there was even a pea or two produced. The most heart-wrenching plant was the corn. It grew about 2 feet high in total and had little baby corn cobs on it like the ones that you get in cans only these were fully matured. That was the best the garden could do. On the other hand, if you want a low yielding zucchini plant, lack of nitrogen is the way to go. I got just enough of the little squashes to eat that first year, but none of the masses that have been produced since the garden has matured. Looking back on the initially purchased soil, it looked wonderful, but I should have realised that something was wrong when I didn’t see any worms in it, only what we call wood bugs and they were there because they were eating the wood. It was black, light and loamy and had small shavings of what looked like wood in it. Turns out, they were wood chips and that was one of the major reasons that it didn’t have any nitrogen in it. 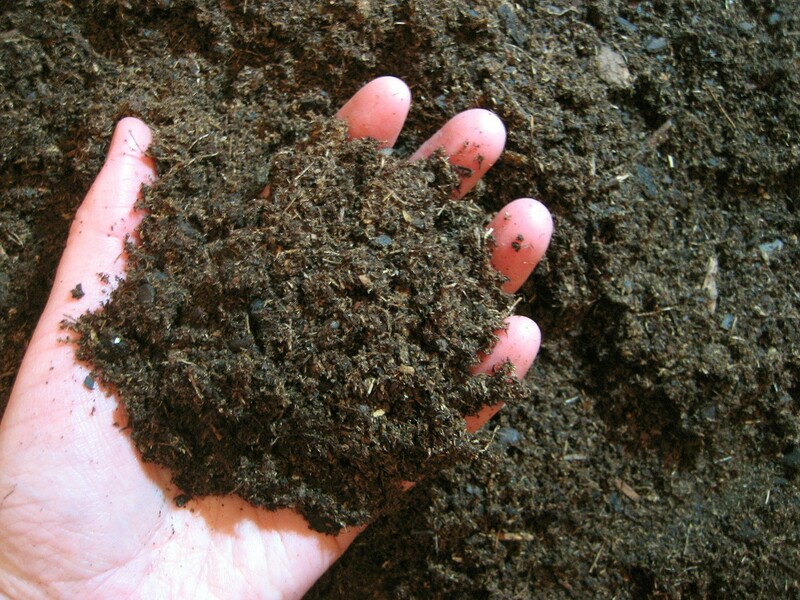 If you purchase soil in large amounts it is usually a mixture of different ingredients. I tend to think of soil as something that is dug up out of the ground, but that’s not the case nowadays. In our area, things that go into this mass produced or manufactured soil are wood chips, forest droppings, sawdust and a little dirt and sand to get the mixture going. This along with other compostable products are left to decompose. 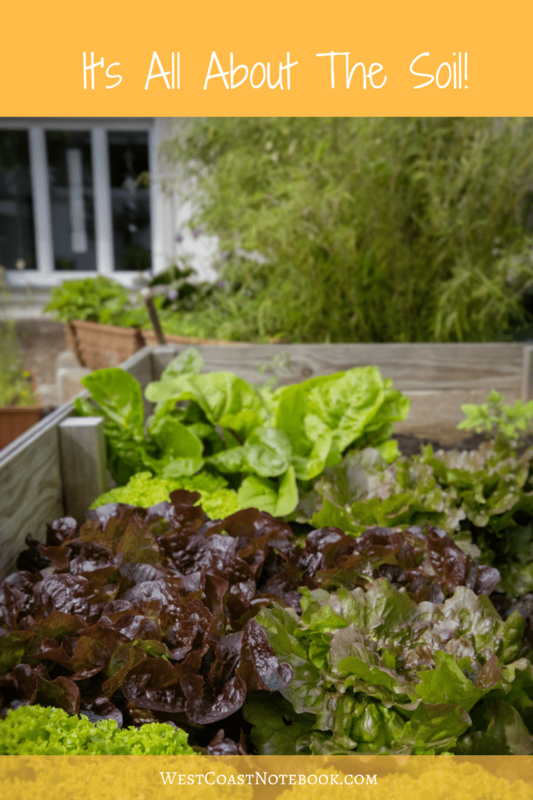 As it does so, you would think that it would be full of microorganisms and bacteria that would be beneficial to a garden plot. But as the ingredients decompose, the wood chips require a lot of nitrogen to break down and deplete the soil. Once the wood chips have composted, your soil will be nitrogen-rich, but until that time your soil will have a hard time growing things. If I had only know way back then, I would have enriched the soil with steer and chicken manure, seaweed, granite dust, and compost before I ever planted a seedling. At the end of the summer when all the plants were finished I started a major building up the soil. 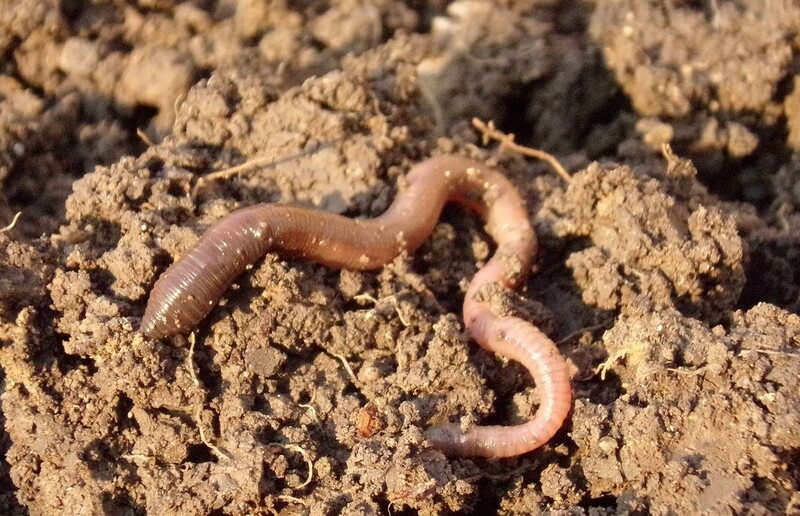 It was exciting to start seeing worms in the garden as I added organic material (compost and manure) to it and by the following spring, my soil was rich in all the nutrient and organisms and worms slithered freely. make sure you know what sort of mix your soil is. test it to make sure of its properties before you buy. ask around or look online to see if there are any complaints against the company you are purchasing from. If you are just doing a small garden then you can pick up bags of different mixtures of soil at your hardware or garden store. You can make your own soil based on what you are planting. Here is a handy calculator to figure out the volume of soil needed for a raised garden bed. If you are looking for the perfect garden soil, just do a search online and you will find numerous recipes for what people consider to be the best for the garden. No matter what mixture you use, make sure it can sustain a worm. I have found that if my garden has worms, that’s a good thing. Since this post, I have done some further soil testing that you can read about here.